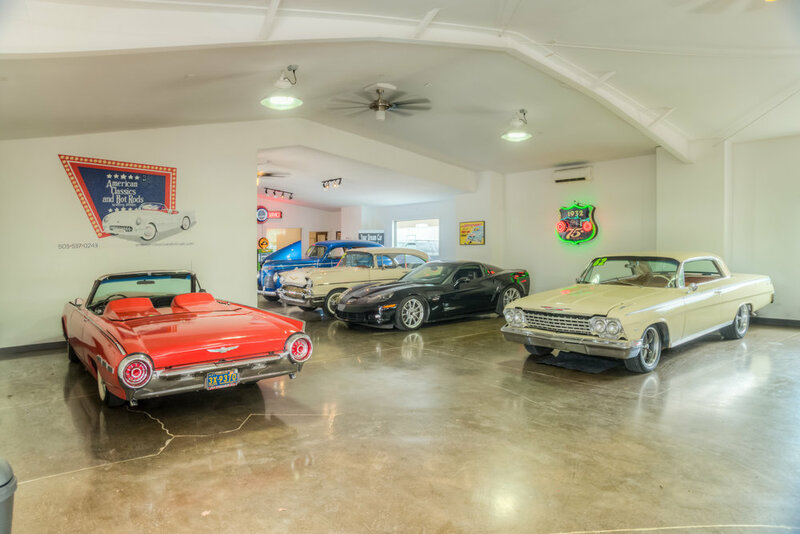 American Classics and Hot Rods — Brittell Architecture, Inc.
As architects, our goal is to make a place that works for its inhabitants. In this case the subjects are classic automobiles and hot rods. Our firm had the privilege of working with a group of car lovers to create a unique show space for some interesting characters. We renovated an existing commercial building to create a clean, minimalist interior that allows the automobile to take the main stage. With the addition of glass garage doors and a generous amount existing storefront windows, the interior showroom and the exterior lot become connected, drawing the customers eye to explore the automobiles within.